Can you ever have too much fun planning a Halloween party? 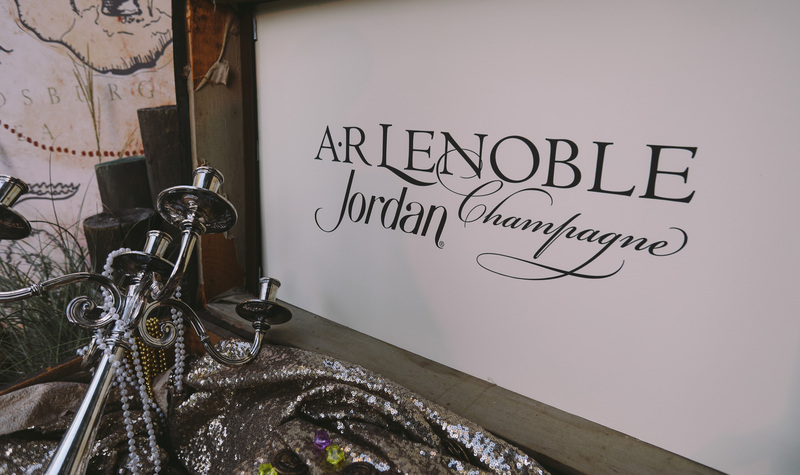 Okay, so maybe I did with Jordan Winery‘s Sunken Treasure pirate party event. 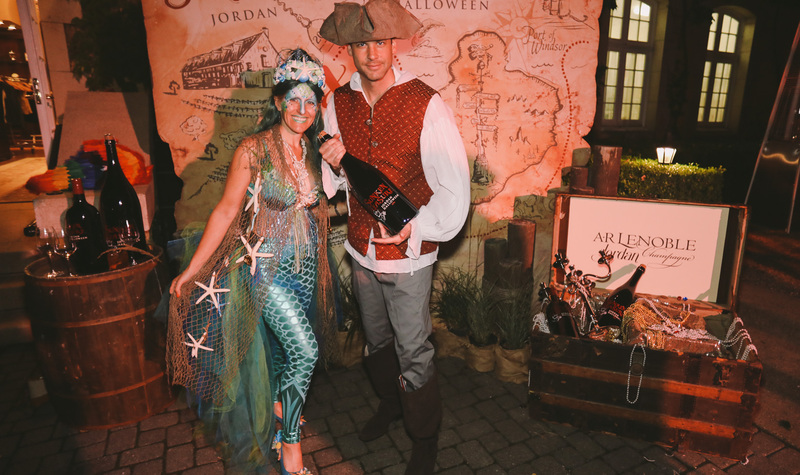 We transformed the Winery Chateau into a seafaring world filled with ships, pirates, wenches and sea creatures. We hope these photos provide inspiration for pirate costumes, decorations and entertainment at your next pirate or under the sea Halloween party. Have a pirate wench in a “Champagne” skirt greet your guests with glasses of bubbly or stage a galley table of mess-hall mateys gnawing on turkey legs to heckle your friends. Create a treasure map backdrop where guests can get their pictures taken upon arrival. Divide the party up into themes by room. Turn the largest room of your house into a pirate ship and another into an underwater lounge, replete with a blue mermaid swimming over the dance floor. Make your own pirate ship flag with your family name. Hang a shark above the bar. Serve turkey legs and raw seafood (sushi rolls and sashimi). But whatever you do, know you’re guests will be channeling Jack Sparrow and having a bloody good time. See more from our Sunken Treasure pirate party event here.